Plot: A working-class Italian-American bouncer becomes the driver of an African-American classical pianist on a tour of venues through the 1960s American South. Starring: Linda Cardellini, Viggo Mortensen, Mahershala Ali, Don Stark. 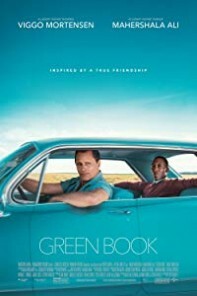 distributed by Universal «Green Book» in the US movie theaters released on November 21, 2018; dvd and blu-ray release date was set for March 5, 2019. Rent from Netflix and Redbox from March 5, 2019. «Green Book» in the UK released in movie theaters on February 8, 2019. DVD and blu-ray release date scheduled for June 10, 2019.